Ranthambhore| three tiny new-born tiger cubs were spotted with their mother (T-8) in Ranthambhore Tiger Reserve, situated in Sawai Madhopur district of Rajasthan. Today in the morning safari, the great mother of Kundal and Balas area, (T-8) who is well known as Ladali was spotted with her three new born cubs at zone no.6. The Tigress, T-8 , was sighted with three cubs near Patava Babari Check post in the morning drive while she was moving and her tiny cute cubs were following her mother in the grass. The new born cubs should be around 3 or 4 months old. It is the 4th litter of Ladali ! The Great mother of Kundal and Balas sanctuary. Ladali is the dominant tigress of this territory including zone no. 6,7 and 8. She is about 8 years old tigress .She shares her territory with dominant male tiger, T-34 ( Kumbha ) . Therefore, Tiger, T-34 should be the father of new cubs. Earlier, the tigress, T-8 had given birth to three litters. She had given her first litter including one male & one female in 2011. After grew up as adults, they had separated from their mother (T-8) in 2013 While a female cub is known as T-61 settled down in zone no. 8 (Balas area) of the park that was also part of her mother’s territory, A male cub became T-62 who had to move out of the park in 2013. Again, she was spotted with her second litter of one cub around November 2013 in Balas area but little is known about this litter. 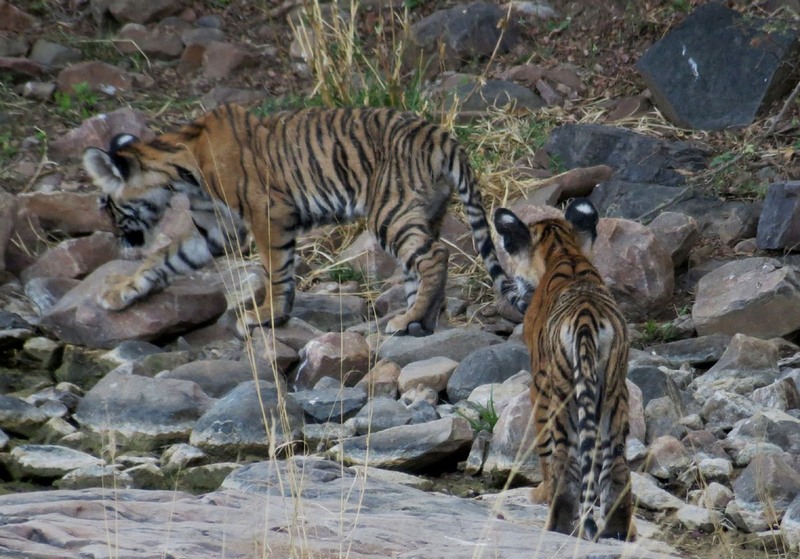 She had given her third litter including two males , spotted with 3 month old cubs for first time on 4th June 2014 at Chhidi-Kho area (zone no. 7). It is the 4th litter of Ladali . 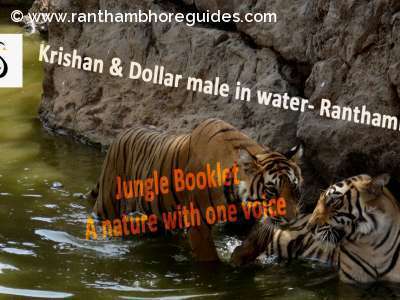 No doubt, she is the Great Mother for Kundal and Balas area of Ranthambhore Tiger Reserve. God bless whole family! 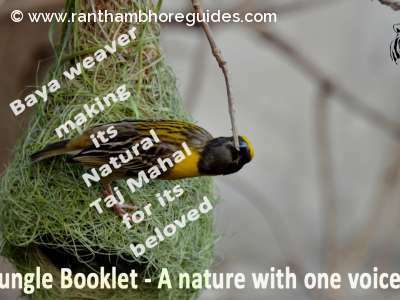 We all nature guides respect her by our heart! Great news and wonderful sighting day for the tourists of zone no.6. Excellant sir.This is great news for us.